In 'Transparent,' A 70-Year-Old Divorced Dad Comes Out As A Woman The new drama, which launches Friday on Amazon Prime, stars Jeffrey Tambor as a transgender woman coming out to her three grown kids. Tambor acts the role without any hint of cheap humor. Thanks to Netflix, many of us are familiar with the concept of new TV series that premiere not on broadcast or cable television, but on a streaming entertainment service. And Netflix isn't the only streaming service getting into the act. Starting Friday, Amazon Prime subscribers have access to the entire first season of a new series called Transparent, starring Jeffrey Tambor. To watch the show, which its publicity material describes as a "dark comedy series," you have to pay for Amazon Prime, that online seller's discount shipping-fee service. If you do that, you have access to Amazon Prime Instant Video — you just have to find it. Maura used to be Mort, who was married with three kids. Now the kids are grown, and she's getting used to her new identity. Tambor plays the role without any hint of cheap humor. Amazon has been at this original programming stuff for a while now. But Transparent is the first show I've felt deserves individual notice. Transparent is created by Jill Soloway, who directed the movie Afternoon Delight and, more to the point for TV fans, was a writer and producer on HBO's Six Feet Under. That was a wonderful series about a complicated, often dysfunctional, usually volatile family — and so is Transparent. Tambor stars as Mort Pfefferman, the patriarch of a fractured family. His ex-wife, Shelly, played by the delightful sitcom veteran Judith Light, divorced him more than a decade ago. Their three grown children have their own lives, all of which are messy. And when Mort invites the kids to dinner at his place, they all fear that he's about to tell them he has cancer. But that's not it. What he wants to tell them is that he's decided, at age 70, to make some very significant life changes. He's in therapy and attending a support group in order to ease the transition to his new identity as a she — as Maura, after a lifetime of denying her inner and real self by, as she puts it, "dressing up like a man." 'Transparent' is a drama/comedy series that could, in theory, make the Emmy nominations next year in either of those categories. It's that good. Tambor plays this character completely straight — so to speak — without any hint of cheap humor. And it's Tambor's commitment to the role that makes Transparent work so well, and so quickly. When Maura, dressed in a wig and a loose-fitting blouse, explains to her support group where she is in her journey to a new sexual identity, there's no condescension whatsoever. Not from the group, and certainly not from the way Tambor plays her. In the four episodes of Transparent I've previewed, those children — played by Gaby Hoffmann, Jay Duplass and Amy Landecker — all have their own issues, which are thrown into a different perspective as their father becomes someone new to them. They all establish their roles quickly, and draw you into their own respective storylines — and Judith Light, as the acerbic and witty ex-wife, does a great job with a very meaty role. Maura attends a support group to ease the transition to her new identity. 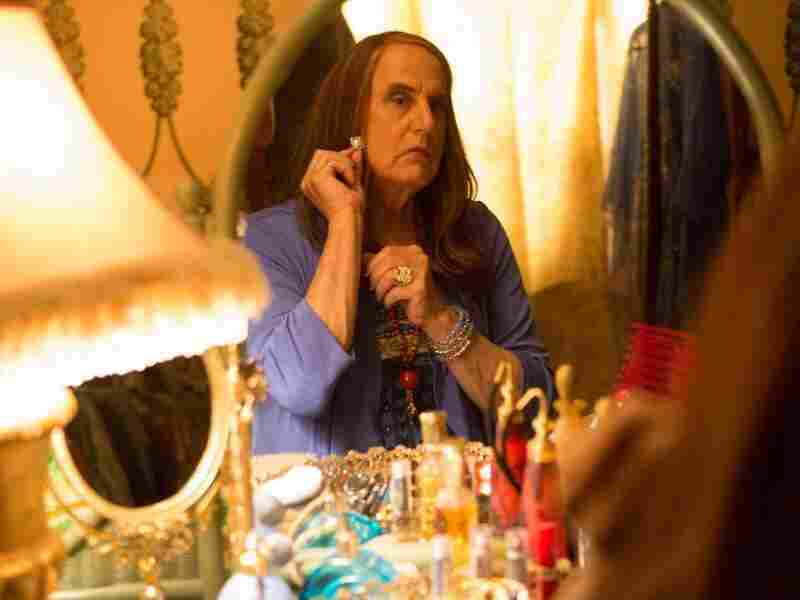 One of the surprises with Transparent is how traditional it is, despite its unusual premise. The closest thing to it on TV right now is NBC's Parenthood, a drama with lots of sometimes dark humor, about a family filled with very different personality types, who somehow find ways to connect with and support one another — except when they don't. But give Tambor special props for not only doing such smart and daring and empathic work with this role, but also for taking it in the first place. His career may be one of the most impressive in TV history, if you're looking at actors who have appeared in groundbreaking, risk-taking television shows. He's averaged at least one per decade: Hill Street Blues, Max Headroom and L.A. Law in the '80s; The Larry Sanders Show, where he was absolutely brilliant as talk-show sidekick Hank Kingsley, in the '90s; the equally amazing Arrested Development to start the new century; and so far this decade, a recurring role on The Good Wife, and now, an attention-getting, attention-deserving role on Transparent. Transparent is a drama/comedy series that could, in theory, make the Emmy nominations next year in either of those categories. It's that good. Oh, and one other thing about Transparent impressed me, but only long after I watched the episodes. It was a few days later when it finally hit me that the show's title was a world-class pun. 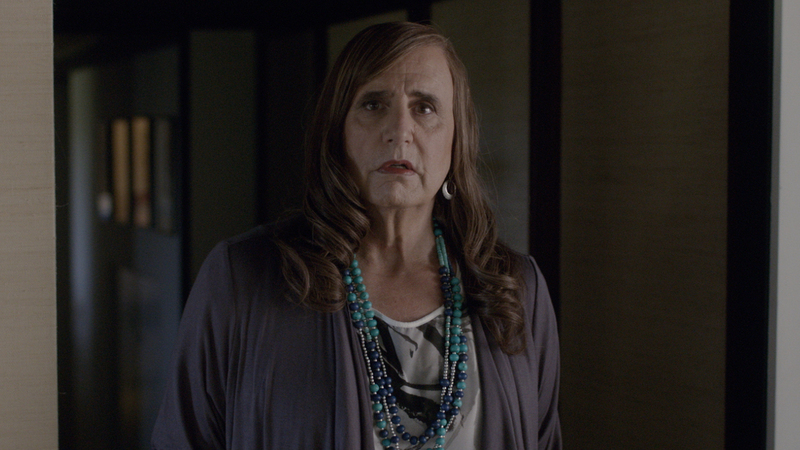 In Transparent, Tambor stars as a ... trans-parent.